There was a cheerful atmosphere today in Hubble café. 29 Chess players were locked in joyful battle to obtain one of the coveted craft beer collections. The social interactions and the love of the game were more important than the result. The goal of the day to share the fun with players who are not in a club was reached. About half of the participants were so-called ‘home players’, which did not mean they were kidding around, as many club players found out. 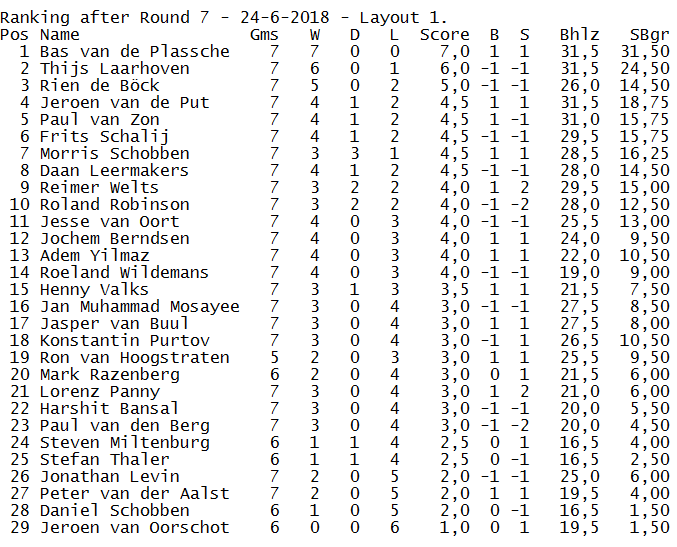 Early on in the tournament it became clear that the battle for first place would be one between Bas en Thijs. Bas managed to win the game between them, as well as all others to capture first place. 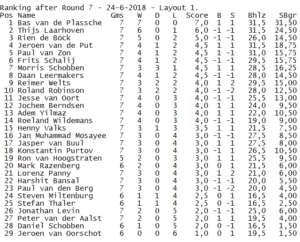 Thijs came in second and third place was for Rien. The prize for best home player was for Remier. Morris went home with the craft beer collection for best TU/e student. Since this tournament went down so well, we are certainly planning to organize more of the kind, starting on a Sunday right after the summer break, Keep an eye on this website to find out more later!